Wave 8 of Growing up in Australia is underway! Interviewers started hitting the ground for phase 2 of Wave 8 in April 2018. We look forward to catching up with all of our study families! For your interview, we've added some games to assess your memory and reaction time. 14–15 year olds and their parents will be asked to sign some consent forms when their interviewer visits. For more information on what we’ll be asking you to sign, have a look at our Privacy page. For this wave, only you will be interviewed in person, and you can make a time that suits you. Before your home interview, you will also have the opportunity to complete an online survey (see details below). Your parents will be interviewed by phone later. By completing the online survey prior to your home interview, you will make your home interview shorter and have the chance to receive one of 50 $100 gift vouchers. Winners will be notified in February 2019. The online survey should take around 25–30 minutes to complete. About 2 weeks before your face-to-face interview, you will receive your online survey access code in the mail. If you don’t receive a code, don’t worry – your Interviewer can give you your code over the phone when they call ahead of their visit. Questions? issues? See Technical stuff. Why should I do the online survey? We want to make it easier for you to tell us what is going on in your life. Doing the online survey will mean that your home interview will be shorter. You can complete the online survey when it is convenient for you, as long as it is completed before your home interview. If you complete it prior to your home interview you will automatically be entered into the draw for 1 of 50 $100 gift cards. What is in the online survey? The online survey covers a range of topics about you. These topics include your health and well-being and aspects of your social life. How long will the online survey take? The time will vary for everybody but we estimate it will take about 25 to 30 minutes to complete. I don't want to do it all in one go. Can I save it and come back and finish it later? Yes. You can save your survey and finish it at a later time. Make sure you have saved it before exiting or you will need to start again. Do I have to do the online survey? The online survey is an important part of your Wave 8 interview. You don't have to complete the online survey prior to your home interview but if it's not completed prior, it will be part of the home interview. What happens if I only complete part of the online survey? You will be asked to finish the online survey during the home interview. How do I know if I was randomly selected to receive a $100 gift card? 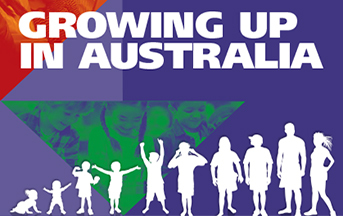 Recipients will be notified by the Growing Up in Australia team in February 2019. Your privacy is very important to us. Strict procedures are followed to ensure that only authorised people have access to the information provided to us. You can find more information on Privacy here. I’m 14-15 years old, or a parent of a 14-15 year old study child. Why can’t I complete my survey online? For this wave the new online survey is only available for 18-19 year olds. To ensure that our two groups (our 18-19 year olds and 14-15 year olds) of young people are comparable, our younger group and their parents need to complete all parts of their interview in the same way that our older group and their parents did when they were 14-15 years old. This means completing the interview in the home for Wave 8. Can I use my tablet/smartphone to do the online survey? The online survey is best completed on a desktop/laptop computer. It has not been designed for use on tablets or smartphones. Using a tablet/smartphone will cause the survey to have display issues as the design is not responsive to the size of your device. What browser should I use to complete the online survey? We recommend using modern browsers such as Internet Explorer 11 (or later), Chrome 43 (or later), Safari 8 (or later) or Firefox 35 (or later). I'm having difficulty accessing the online survey or creating my survey account. If you are having trouble establishing a session or completing the survey account set-up, it may be because you are using an older browser version. Try an alternative browser or update your browser to the latest version. If you continue experiencing problems please contact 1800 005 508 (freecall excluding mobile phones) or email the Growing up in Australia team. Contact the Growing up in Australia team on 1800 005 508 (freecall excluding mobile phones) or email us. What if I don't have an email address to use for my online survey account? If you don’t have an email account that you can use to set up an online survey account you can complete the survey during your home interview. Alternatively, there are plenty of free email account providers such as Gmail or Hotmail that you can use to create an email account, to use for your online survey account set up. The mobile phone number you provide during the account creation process allows you to reset your password if you forget it. We won't call you on this number without your consent and will not share your number with anyone outside the study. What do I do if I don't have a mobile number? If you don't have a mobile number, please call us on 1800 005 508 (freecall excluding mobile phones) and we can help you to create your survey account. What do I do if I can't finish the online survey because of a technical issue? If you have technical issues then please contact the Growing up in Australia team on 1800 005 508 (freecall excluding mobile phones) or email us. If the problem can’t be solved then you can still complete the online survey during the home interview. Growing Up in Australia has been granted written approval from education authorities across Australia to approach schools and teachers to participate in the study. Letters of approval from education authorities can be found here. The annual mail-out contains interesting findings from your data, some study news, and media coverage of Growing Up in Australia. Thank you for your ongoing support and participation in Growing Up in Australia. You play a vital role in contributing to the wealth of knowledge used to inform policies and programs in Australia that have improved the lives of many people. In wave 8 the study is evolving as our young participants progress through adolescence and into adulthood. Your role remains as important as ever in participating and encouraging your children to participate in Growing Up in Australia. Our study would not be possible without you.